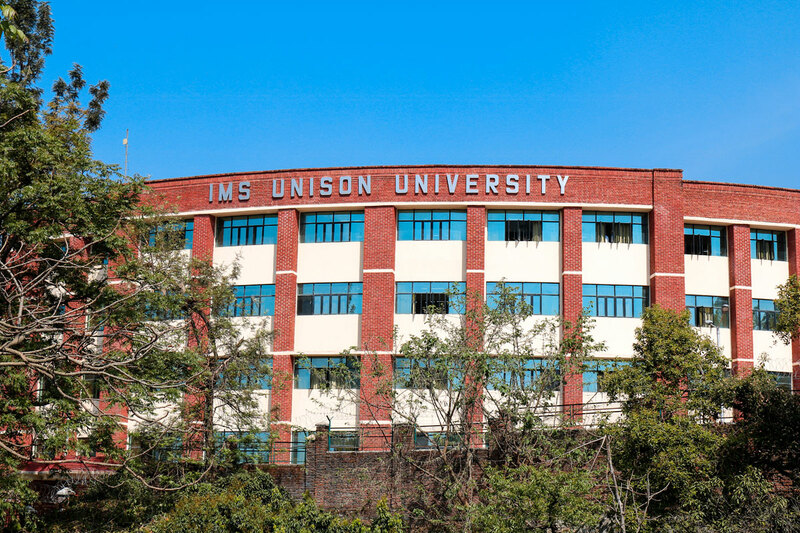 Rated as one of the top Private Universities of India, IMS Unison University boasts of picturesque campus surrounded by the Shivalik range of the mountains. The well laid out campus with buildings standing tall in red-brick design, amongst the serene atmosphere, offers the most conducive ambience for the learners in pursuit of higher education. 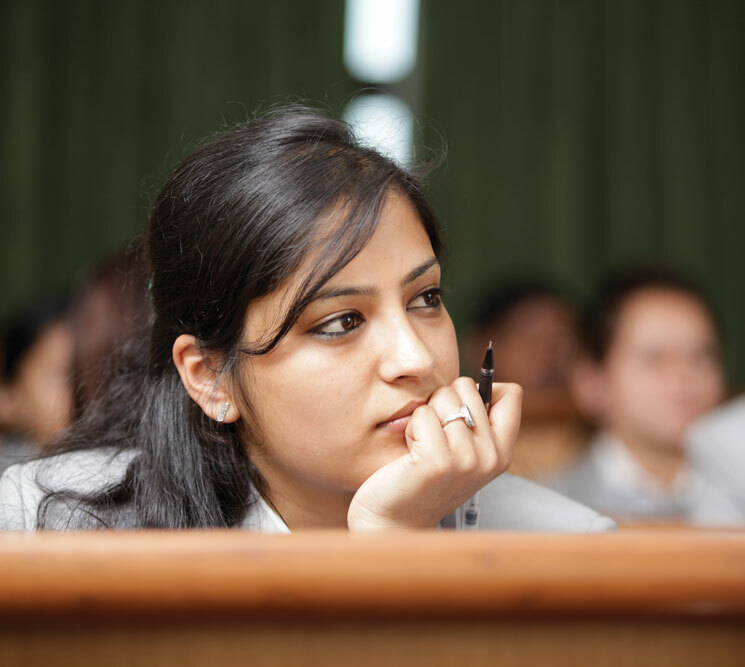 The University believes in continuously evolving through the adoption of the best practices in the education industry with a strong focus on the growth of its students, faculty and staff. Teaching and learning in a university environment can be very different from school or college. We provide an education of the highest quality that will stimulate and equip you to become an independent learner and future leader. Studying at a University is a significant investment and we place great emphasis on preparing you for your chosen career. 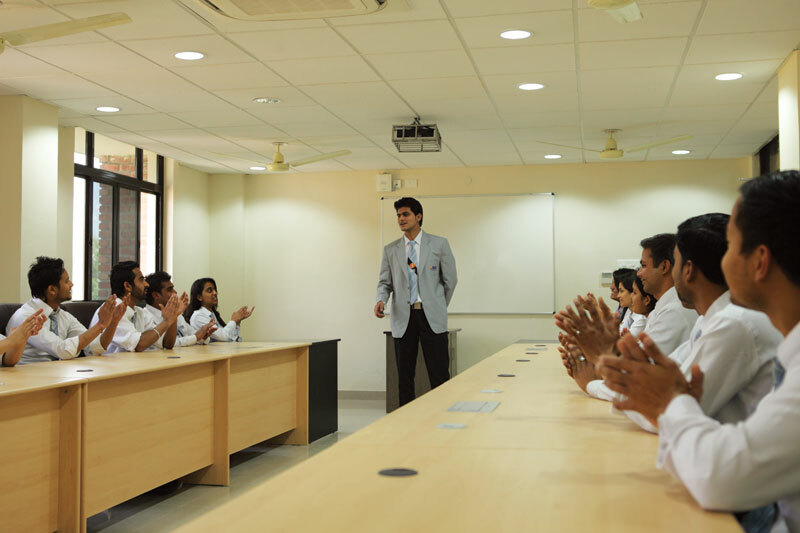 We seek to educate individuals with the highest potential to excel in their chosen careers. To achieve this, we aim to give you the best student experience possible and we continually invest in new and existing facilities, training, technology and services. We offer a high quality, research-led education that encourages independence of mind. You will develop your employability from your very first day through your studies, co-curricular programs, personality development, skill enhancement workshops and extracurricular activities. This is why an IMS Unison University degree is so attractive to employers and a sound investment in your future. At IMS Unison University, we place an emphasis on student centric learning. To support this, we use a variety of learning tools like lectures, case studies, seminars, tutorials, practicals and e-learning resources to provide the framework within which you will gain the knowledge and skills to explore your subject as an independent learner. Self-management and ability to work independently are the skills valued highly by recruiters. IMS Unison University is amongst the very First Universities in India to fully adopt the SAP ERP solution for fully streamlining all academic and administrative processes. Students benefit from the 'Student Life Cycle Management System' (SLcM). SAP ensures free flow of information as well as transparency into the processes thereby ensuring the best advantage to the students. A hi-speed internet access is provided in the campus and hostels for all students and faculty. Learning does not end at the lecture rooms alone. At IMS Unison University we are continually investing in technology & facilities to ensure that you have access to the highest quality of education. These very facilities have established us as a Center of Excellence in Management, Mass Communication, Law, Hospitality & Liberal Arts. Theater-styled classrooms fitted with Audio-Visual aids encourage students to make presentations in order to be better prepared for the corporate life ahead. Numerous hi-tech tools, state-of-the-art infrastructure and teaching aids ensure excellent performance academically and professionally. The classrooms are equipped with LCD Projectors, Multimedia Kits & Computers and Wireless Systems. This Lab is loaded with English language lab software WORDS WORTH to help students in improving their pronunciation, diction, paralanguage, and overall communication. The computer laboratories boast of.. State-of-the-art Wi-fi system running on Wireless Network (Wireless LAN). In addition, the University has entered into a Microsoft Campus agreement and has subscribed for all the required software like Symantec Academic Subscription, Dream Spark Academic Alliance, SPSS and Licensed software like DB2, Visual Age for JAVA, Web Sphere, Application Server, Visual Studio, Oracle 8i, VPOP and the like. 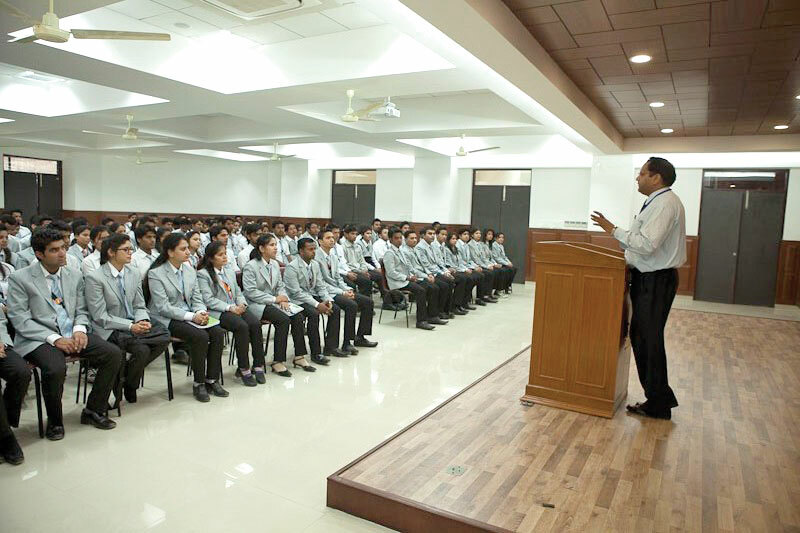 The University has two Seminar Halls with a seating capacity of 500 and 250 each. 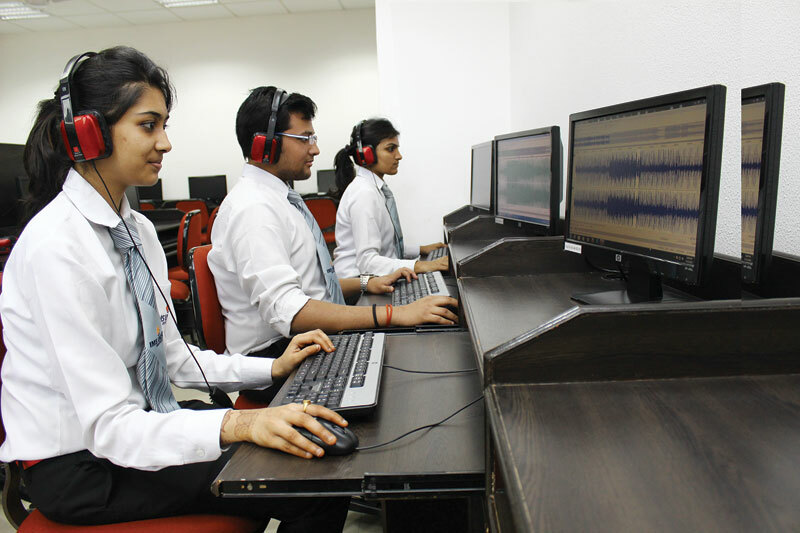 The seminar halls are equipped with computers, LCD Projectors, and PA Systems for achieving high quality audio and visual effects. These are used for seminars, staff meetings, knowledge sharing sessions, special assemblies, pre-placement talks, special functions, workshops, etc. and are always in high demand for conducting the activities of the University. The University has four well equipped Conference Halls for the purpose of holding conferences and meetings at different levels. The completely E-enabled Library has an automated interface. It allows students & researchers to locate and access information via a computerized search facility. The library is operational from 9 am to 9 pm. 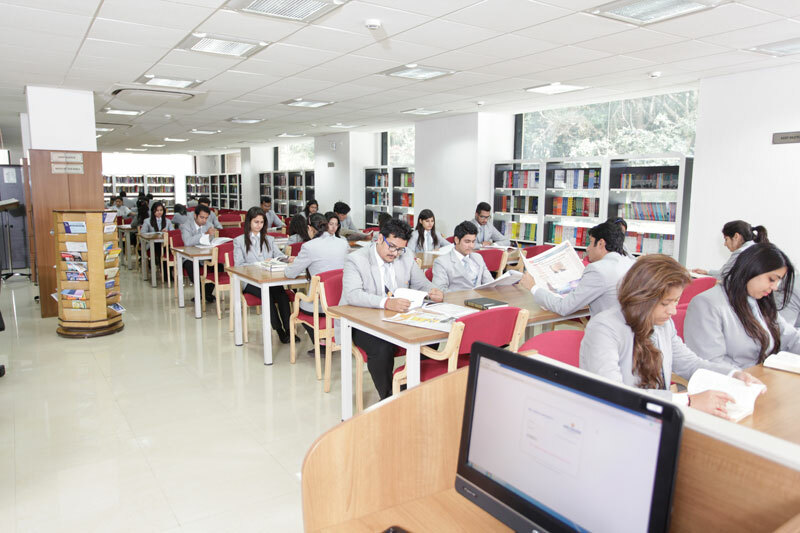 Over 51,000 volumes & 13,800 titles in Management, Computer Applications, Hospitality, Mass Communication and Law. Over 110 leading print journals and subscriptions to online data bases: EBSCO, SCCOnline and Lexis Nexis. Books and material are issued on swiping the smart-cards issued to students based on the latest bar code technology. The Library is an active member of DELNET & CSI. 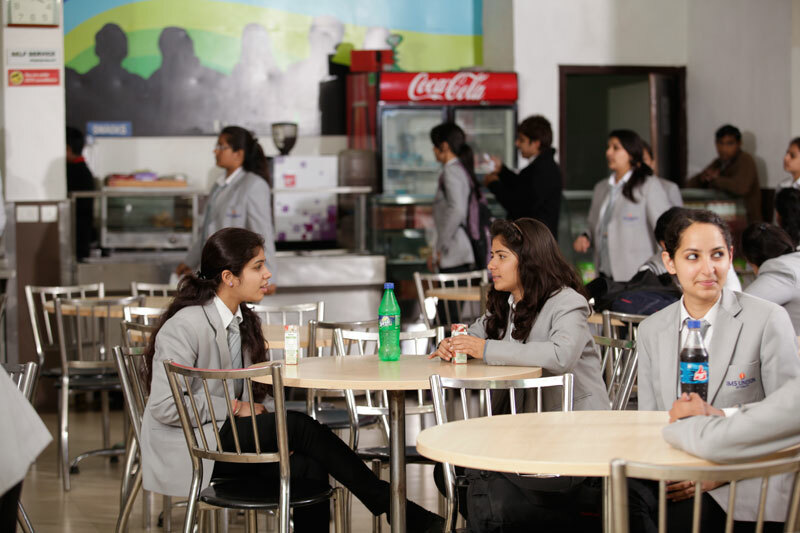 The centrally air-conditioned Cafeteria is open from 8 am to 8 pm and serves delicious snacks, food and beverages including a variety of Indian, Chinese and Italian food and refueling blends of coffee and tea. Beverages like soft drinks, shakes, juices, soups, and a wide range of ice-creams are a major attraction. Hygiene and flavor are the focal points of all preparations in the cafeteria. 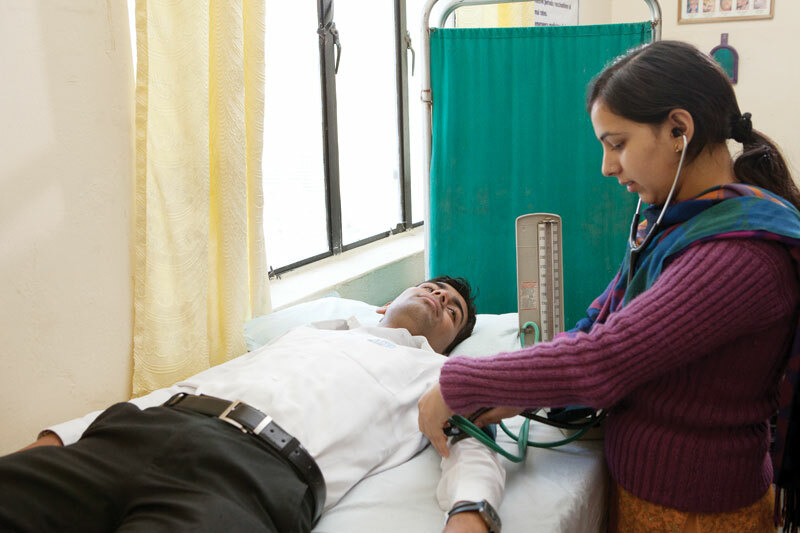 The campus houses a well equipped Infirmary which is geared to handle minor ailments with the support of a doctor and a trained nurse. It also functions as a Health Center, and maintains a detailed medical record of all residents on campus. The details come in handy during the times of immediate medical attention or an emergency. Furthermore, a 24-hour ambulance is always on standby for regular and emergency medical attention. 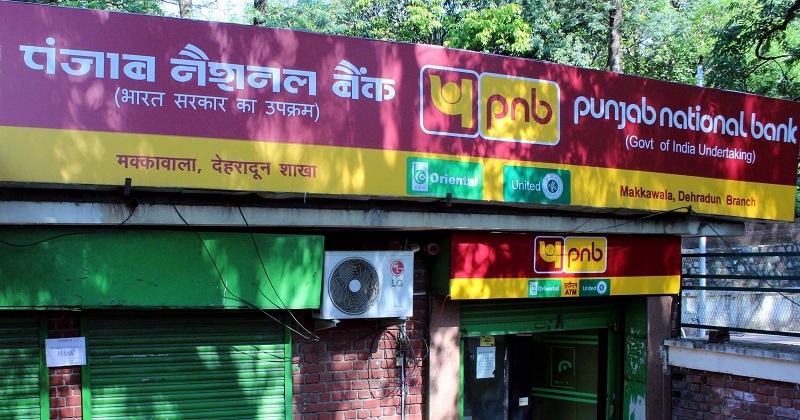 The campus has a public sector Bank and ATM facility to provide education loan and bank account facility for the students and staff. 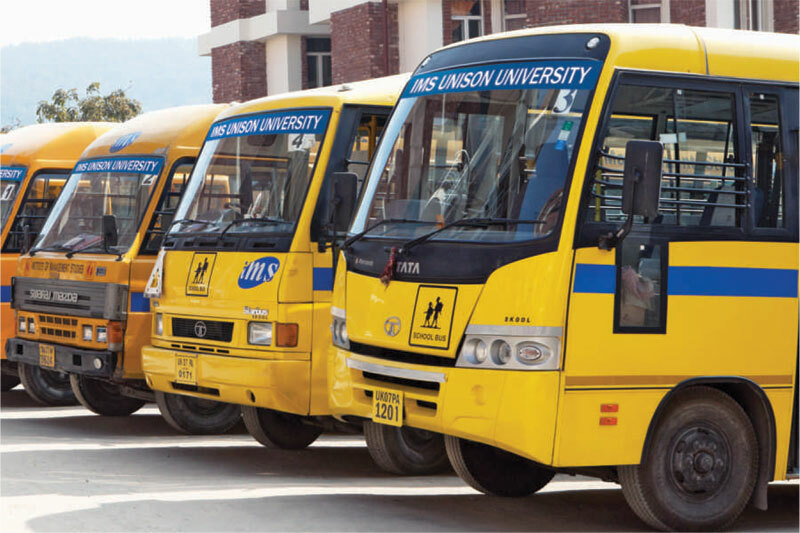 IMS Unison University has a fleet of very comfortable buses for pick and drop of our students and staff from across the city. Our transport fleet includes University buses, commercial vehicles & an ambulance - fully fitted with emergency requirements.